Will County, Illinois genealogy and family history research. Find links to record collections, history, and genealogy resources to help you trace your Will Co., ancestors. Get started by building a Free Family Tree. 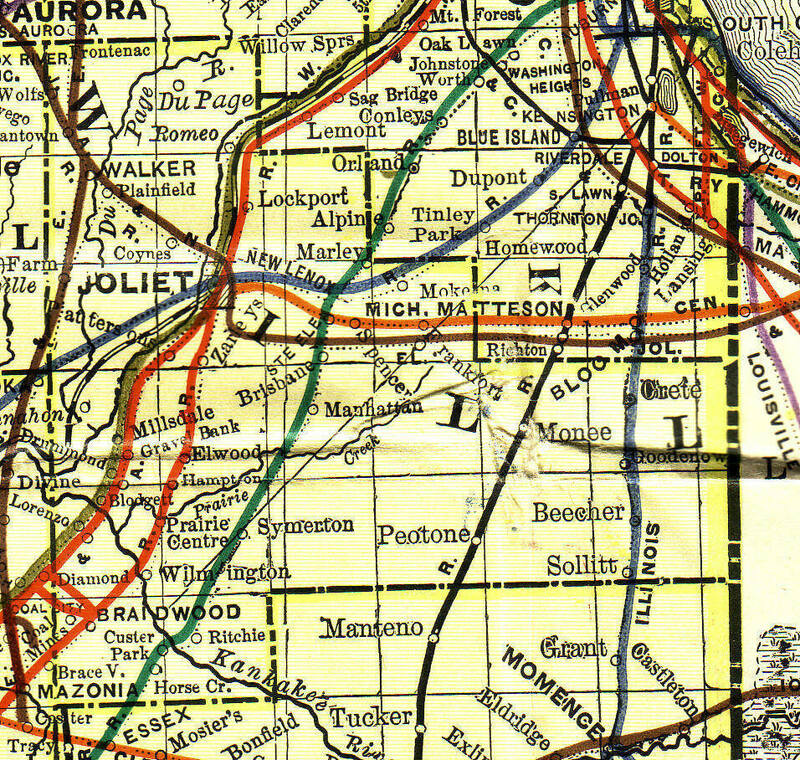 When was Will County, IL Created? Will County was established on January 12, 1836. What is the County Seat of Will County, IL? The County Seat is located in Joliet also, the county government website is www.willcountyillinois.com/ . What counties are adjacent to Will County, IL? Where can find Will County Birth, marriage, Divorce and Death Records? Will County vital records can be found at the Illinois Department of Public Health has copies of birth, marriage, divorce and death records. There is a fee for each copy requested. Please refer to the information to the Statewide Vital Records in Illinois for current fees and application process. You can search online for Will County Birth, Marriage, Divorce or Death Records. You can also Order Electronically Online or can download an application for Illinois Birth Certificate, Marriage Certificate, Divorce Certificate, Death Certificate Applications to mail. What Will County, IL census records are available? There are many types of census records for Will County guide you in researching your family tree. Federal Population Schedules are available for 1790-1890, 1900, 1910, 1920, 1930, 1940. What genealogical records can I find in the Will County Courthouse? Researchers frequently overlook the great importance of Will County court, probate, and land records data as a useful resource of ancestry and genealogy information. Buried away in Illinois courthouses and archives everywhere are the ambitions and frustrations of countless Illinois residents. The possibilities are excellent that your forefathers have left a comprehensive document of at least a number of facets of their lives in the Will County court records. Even if your forebears is not referred to in a Court case, contemplate all of the other procedures that could have lead to him or her to appear in court records. See Also Illinois Corthouse Records Research Guide. What genealogical and historical societies, archives, museums, associations and libraries are available for Will County, IL? A list of Will County Historical and Genealogical Societies, Libraries, Archives. See also list of Statewide Illinois Archives, Historical & Genealogical Societies. Where can I connect with other Will County, IL Researchers through message boards and forums? What other genealogical resources are available in Will County, IL? The following are web links to Genealogy, Records and Resources pertaining to Will County. These genealogy links fall into 3 categories: Commercial Sites, Private Sites or Organization Sites. Some have free access some require a cost. This is simply a collection that has been gathered or submitted. I do not recommend or promote one genealogy site over another. Illinois Military Records (fold3.com) gives easy access to military records, stories, photos, and personal documents belonging to the Illinois both males and females that served. Suitable for Will County genealogists, researchers, historians plus much more.